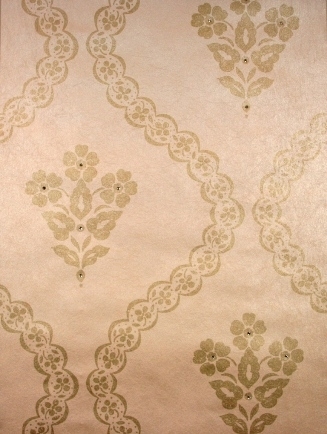 GARNET A stylish distressed design on a textured nonwoven paper in a soft cream and mat black background with a gilver metallic paint effect. The third colourway has a unique soft focus antique mirror appearance. A classic look from the 18th century guilded glass fixed with gold crystals giving that exclusive shimmered glassed effect. To further this look there are two beautiful silk printed fabrics to co-ordinate.